Happy Birthday, Danniel! | To Be, To Be. Tutubi. Truly, a mother's riches are her children and I feel a million times blessed because of my son, Danniel Noel! He is turning eight years old today and a mother cannot ask for a better child. He is Top 2 in his class this grading period, Best in Math in Grade 1 last year and the sweetest son in the whole world! 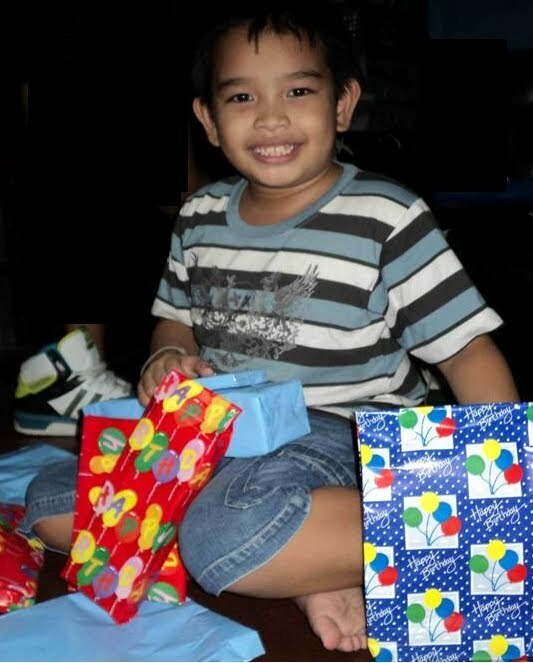 He has very simple request s during his birthday: a simple birthday dinner last night at Mang Inasal, some time to play at Toms World with his siblings, McFloat and some 8 items on his wish list, including 2-hour Facebook and Y8 time. I hope that he grow to be responsible and caring individual. He is a very sweet kid and I hope that he stays that way even when he is older. I love you, Danniel! You are worth to me more than the P600M lotto jackpot and I hope that you know that. I hope to be the best mother to you as you are the best son to me.